330500A | Spotgun™ Jr. Kit - CPS Products Inc.
Professional injection system for those that need to manage their inventory. One cartridge per vehicle. 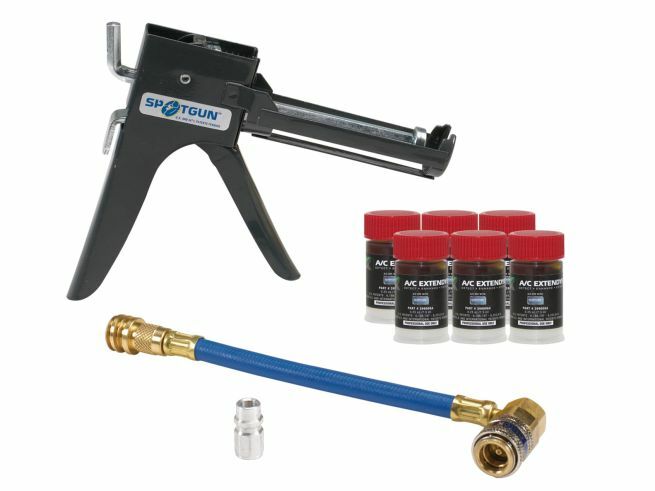 Spotgun Jr. injection gun with R-12 and R-134a adapters.